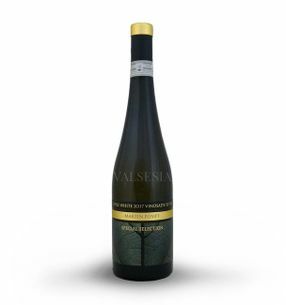 Grüner Veltliner is a variety which originated spontaneous crossing of varieties Traminer St. Georgen, probably comes from the region of Lower Austria, in the area of highlands Manhartsberg. 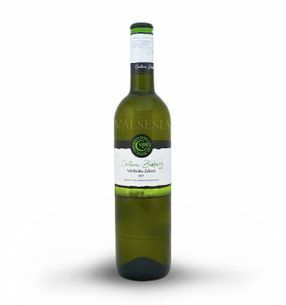 Grüner Veltliner is a fresh glass of wine with medium body green to greenish-yellow color , a distinctive aroma and balanced flavor with a higher content of pleasant acid. The aroma and flavor can be found in Veltlín lime blossom, delicate almonds, nutmeg tones, subtle spice notes of muscat wine and mature au exotic fruits. 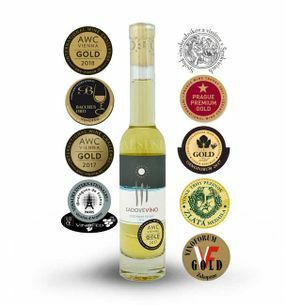 Vínko is ideal to drink young, fresh. 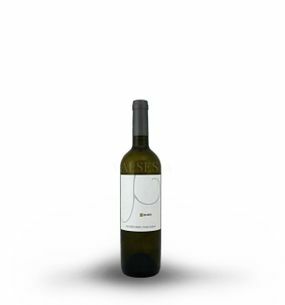 Its bouquet is significantly influenced by soil - subsoil vineyard . Veltliner from loess soil smell honey and lime blossom, rocky soils are characterized by hints of cigarette smoke Veltliners grown on clay soils give tones of lime blossom and Paleozoic soils identifiable by bitter almond tone. 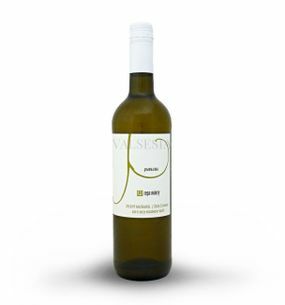 Grüner Veltliner is an ideal drink to chat with friends, especially during the summer months and as a wine spritzer. They are suitable in most dishes. Lighter and younger Veltliners are suitable for cold meats, sauces and salty snack, the more advanced again to bovine meat, fish and sea to neutral sauce. 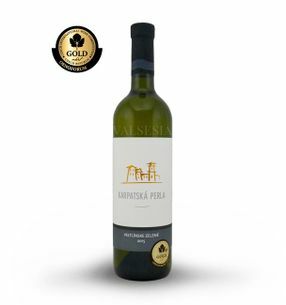 Karpatská perla 4 elements - white, r. 2015, selection of grapes, dry, 0,75 l 4 wonderful cuvée white varieties (Riesling marking, Grüner Veltliner, Pinot Gris and Aurelius) awarded a gold medal at the Prague Wine Trophy 2017 and Citadelles du Vin 2018. Enjoy the beauty of these varieties exceptional year of 2015. 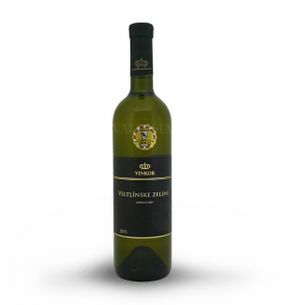 Let yourself be carried away by the elegance and harmony of this precious cuvée and Enjoy a combination of precise assemblages and sensitive maturation in oak barrels ..
Pavelka a syn Chateau Zumberg - 2017 Grüner Veltliner, quality wine, dry, 0.75 l Full extractive wines of southern character reminiscent of tropical fruit. 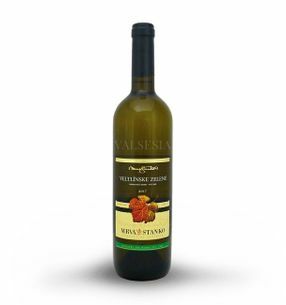 Almond and mead flavor characterize this wine with a fruity bouquet. Yellow-green color bolder shade indicates the quality of the wine. 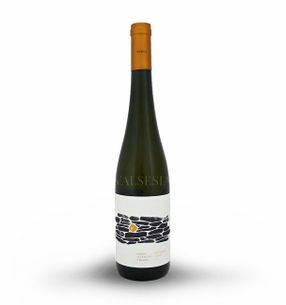 REPA WINERY Veltliner Granit - mini 2014, quality wine, dry, 0.375 l Unusual Veltliner with a dominant expression of terroir Dubovského granite bedrock in the Small Carpathians. Let us tempt you and mineral tones of Veltlín, accompanied by pleasant tones of yellow tropical fruit and delicate almond. 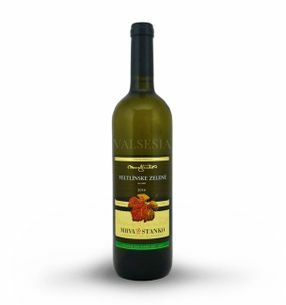 REPA WINERY Veltliner Granit 2017, quality wine, D.S.C., dry, 0.75 l Beautiful Veltlín made method Sur lie with the dominant expression of the granite bedrock Dubovského terroir in the Small Carpathians. 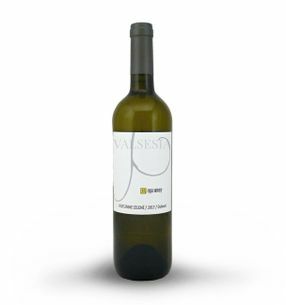 Let you also tempted mineral notes of this Veltliner, accompanied by pleasant tones of yellow tropical fruit and subtle almond. 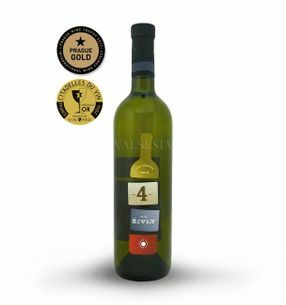 REPA WINERY Veltliner Stony 2016 Limited, quality wine, dry, 0.75 l Veltlín ,, stone ", the characteristic mineral notes of the fragrance and flavor of earthy sensations and bitter almond aftertaste reflecting Small Carpathian terroir through a longer maturation on fine yeast in oak barrels and is designed to archive. 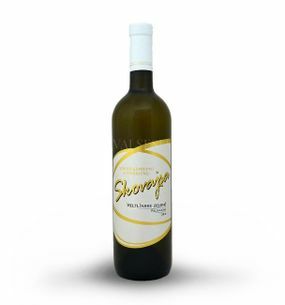 Mrva & Stanko Grüner Veltliner - Lower Orešany in 2016, quality wine, dry, 0.75 l Terroirový nice Veltliner with delicate scent of fruit and meadow flowers. Let us pamper you and his delicious fruitiness, slight acidity and varietal typical almond tones. Vinkor Grüner Veltliner 2015, late harvest, dry, 0.75 l Red Veltliner early is easy, pleasantly aromatic wine where you can find fresh scent of summer apples and juicy pears backed deliciously spicy aromatics Veltlín. The wine is tasty tough, mineral and juicy fruit. 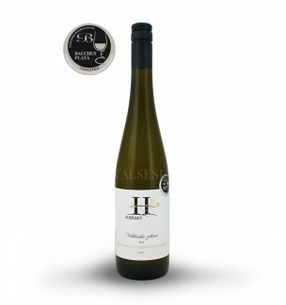 Víno Hubinský Grüner Veltliner 2015 late harvest, dry, 0.75 l Pleasant Veltliner typical lush MALOKARPATSKÁ acidity. 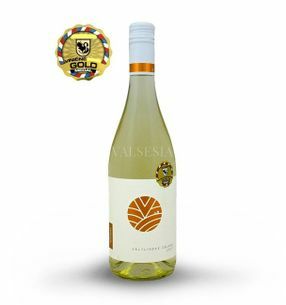 Wine attractive aromas of exotic fruit with subtle hints of almond and a beautiful, fresh and lightly spicy-spicy taste. REPA WINERY Grüner Veltliner 2017, quality wine, dry, 0.75 l Excellent Grüner Veltliner, pleasantly aromatic with an intense fruity and slightly spicy aroma. 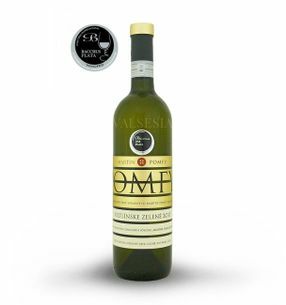 Let you also tempted mineral notes of this Veltliner, accompanied by pleasant tones of yellow tropical fruit and subtle almond. 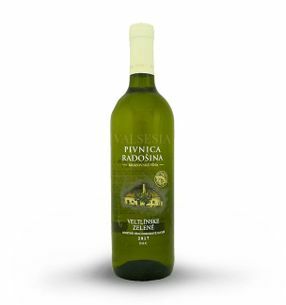 Pivnica Radošina Grüner Veltliner 2017, quality, dry, 0.75 l Year 2017 brought the very interesting Veltliner. One of them is the Grüner Veltliner 2017 from the famous wine cellar Radošina. The glass will address a pleasant, citrus fragrance that smoothly passes into the light, mineral - almond taste. Slightly bitter - sour aftertaste makes a pleasant sensation of this wine. 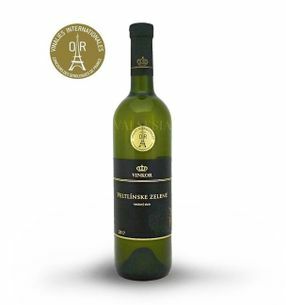 Vinkor Grüner Veltliner 2017, late harvest, dry, 0.75 l Attractive Veltlín awarded the great gold medal from Vinalies Internationales PARIS 2018 to amaze wonderful fruitiness of ripe pears and peaches. Its light, fresh taste perfectly copying the pleasant scent is filled with tones of yellow fruit on the background of unique fine minerality. Wine with a spectacular conclusion enriched by pleasant mandľovinku. MAVÍN | MARTIN POMFY Grüner Veltliner 2017 late harvest, dry, 0.75 l Grüner Veltliner with gorgeous aromatics exotic fruit in which is dominated by notes of pineapple and white grapefruit. 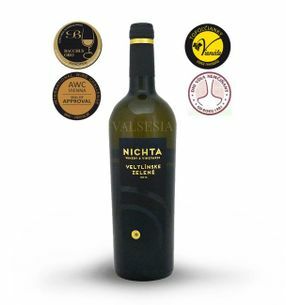 Excellent wine, rightly awarded the prestigious silver medal in one of the most prestigious international competitions of wine - Bacchus Madrid of 2018. 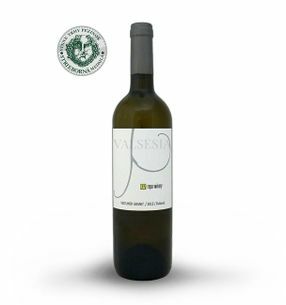 Vinovin Grüner Veltliner cryo 2017, quality wine, dry, 0.75 l Wine awarded a gold medal at the 36th Exhibition of Wines Vinicne 2018. Very nice green Vetlinske not made everyday processing - kryomaceráciou. 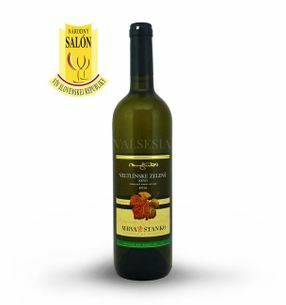 Greenish yellow wine with a beautiful fruity pear flavor and pleasant "veltínovou" flavor complemented the typical undertone of roasted almonds at the end. Karpatská perla Grüner Veltliner, r. 2015 grape selection, dry, 0.75 l This lovely wine comes from a family vineyard spouses Seb - Newspaper and perfectly represents Modranský Veltliner, as evidenced by several awards from prestigious international competitions. The wine is rich lively, fruity aroma with a spicy manifestation. 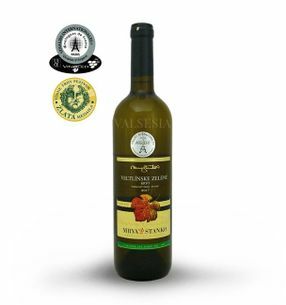 REPA WINERY Green geraniums 2016 - must, a 100% natural grape juice, 0.75 l The 100% natural grape juice varieties Grüner Veltliner - a natural product without chemical preservatives. Drink full of health-promoting substances in their natural form. Ideal drink for athletes, children and pregnant and nursing mothers.